Northern Beaches Council Lifeguards and Rangers are currently undertaking a valuable qualification through TAFE NSW to operate drones allowing greater capability to keep our beaches safe and help supplement existing regulatory resources. The tailor-made Certificate III in Aviation (Remote Pilot – Visual Line of Sight) qualification has been offered to four Council lifeguards and two rangers. Once completed, the staff will receive their Civil Aviation Safety Authority (CASA) Remote Pilot License (RePL), as well as their Aeronautical Radio Operator Certificate (AROC). Once completed the staff will be certified and licensed to fly drones commercially. Northern Beaches Mayor Michael Regan said this is a fantastic opportunity for staff to broaden their skillset. “We’re very lucky to partner with TAFE NSW to undergo this training. It will be invaluable to their respective roles. “The qualification will equip lifeguards greater capability to use sophisticated equipment to ascertain what’s going on in the water when their direct line of sight from the ground may be limited,” he said. The technology will be available in every Lifeguard Coordinators vehicle and used to assist with a range of circumstances including shark sightings and searches. The Lifeguard Coordinator using the drone will be able to report back to the lifeguards on the beach via radio what they can see using the device’s camera. “If this technology can help prevent a serious incident or help make our staff jobs that little bit easier, then it’s worth every cent.” Mayor Regan said. For Rangers, they’ll be able to use the drones to supplement regulatory resources and for patrolling and monitoring duties. “This is industry leading edge stuff and I’m proud that Council is moving with the times being the first ones to undergo this qualification and use technology to assist in their everyday duties.” Mayor Regan said. As Australia’s largest training provider, TAFE NSW will deliver this training to Northern Beaches Council staff using their expert industry trainers in a way that fits their business operations. The theory and operational training will be delivered at TAFE NSW Northern Beaches and Brookvale Oval. 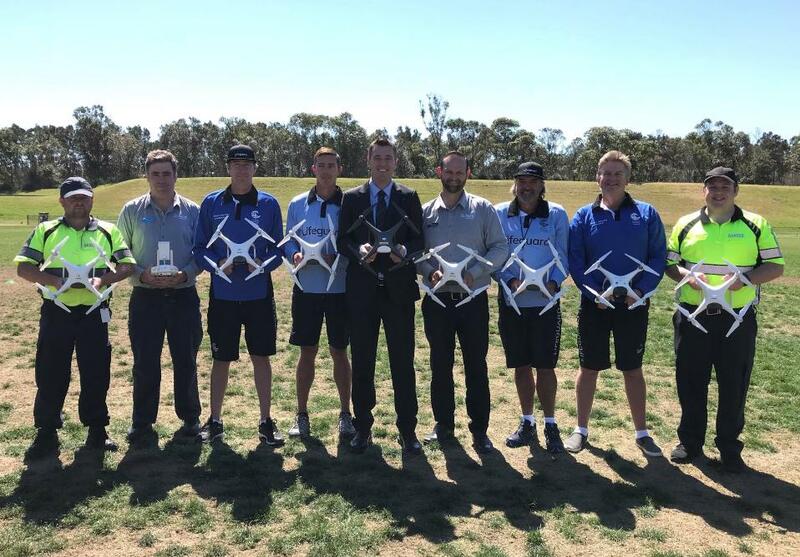 TAFE NSW Aviation Team Leader, Mark Apps said he was thrilled to be working with Northern Beaches Council to deliver this specialised drone training. “As part of the training, staff will learn about the rules and regulations governing use of the aircraft, safety of operations in Australian airspace, manual flight, flight planning and programming to operate the drones. Council is also in the process of gaining an operator’s licence so that we can use the devices when and if required in a timely manner.